Professional upholstery, Re-upholstery, Antique Restoration, Furniture repairs and polishing, bespoke sofas and chairs, loose covers and curtains. Walkers Upholstery has been established for over 50 years, we are a friendly family business based in Cupar, Fife. We pride ourselves on our reputation for high quality products and a friendly service. Classic Car and Motorbike Seat Recovery. Upholstery, Soft Furnishings and Cane Weaving Courses. Although we are based in Fife we offer reupholstery, antique restoration, furniture repairs, furniture repolishing, loose covers and curtains across the country. Some of our most popular areas include: Fife; Edinburgh; St.Andrews; Perth & Kinross; Glenrothes; Kirkcaldy; Stirling; Dundee; Tayside; Angus and the East of Scotland. However, distance is no object. 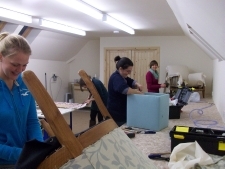 Upholstery courses and soft furnishings classes are offered at our studio in a converted 18th century water mill. 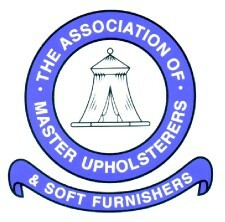 Walkers Upholstery are full members of the 'Association of Master Upholsterers'. This ensures we always deliver the highest standard of professional upholstery. 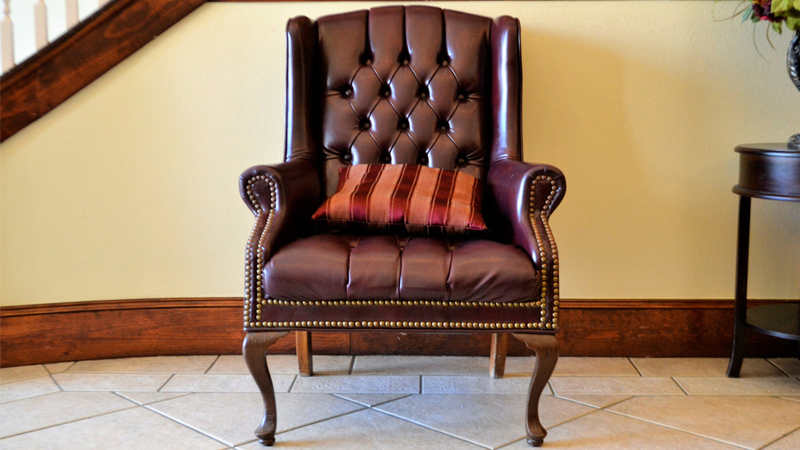 Our highly skilled and motivated staff are fully experienced in all aspects of traditional and modern upholstery. there is pretty much nothing we could not restore or recover! We can custom build sofas and chairs, for any location within the UK, to exact customer specification. There are a wide range of styles to choose from both traditional and contemporary. We are also suppliers of custom made bespoke Solid Mahogany Reproduction Furniture - sofas, chaise longue, chairs, wing chairs, dining tables, dining chairs, chests, occasional tables etc. All Polished and Bespoke Upholstered to any specific customer requirements. We can also offer a range of antique chairs, chaise, sofas and drop end sofas, all in original condition, waiting to be fully restored in fabrics of your choice. A selection of fabric book are available for customers to choose their own specific patterns, on the other hand we are more than happy to use fabric provided by the customer themselves. The materials we can offer include a number of top of the range brands such as: GP&J.BAKER; ROMO; VILLA NOVA; ZOFFANY; HARRIS; HARLEQUIN; MOON; ISLE MILL; PARKERTEX VOYAGE; LINWOOD, and SCUTT&COLES etc etc. We also run UPHOLSTERY AND SOFT FURNISHING COURSES throughout the year catering for all skill levels, from complete beginners to people with a more advanced knowledge of these disciplines. Learn these timeless and satisfying skills,with guidance from a highly skilled teacher of over 30 years experience, whilst producing a practical and beautiful piece you can treasure for years to come. Students come to our upholstery courses from all over scotland - Edinburgh, Glasgow, Perth, Inverness, Borders, as well as from England and even abroad! We run leisure classes, night classes and ACCREDITED LEVEL courses. See Our Courses pages for details.